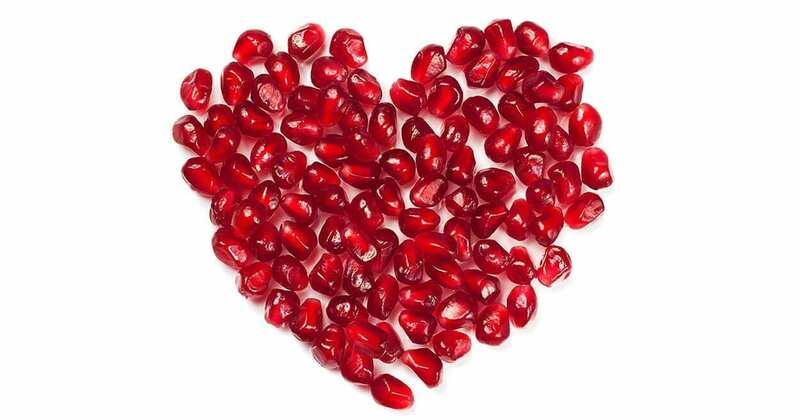 It’s sad to think that a huge percentage of the earths population has never even tried pomegranate. Being that they are one of the healthiest fruits we know of, this is a tragedy! Their juicy, fresh, sweet, crunchy on-the-outside and fleshy on-the-inside ruby red seeds are jam-packed with compounds which are hugely beneficial for the body. These edible seeds, called Arils are rich in vitamins, minerals, bioactive plant compounds, fibre and antioxidants. In fact, pomegranate juice is so rich in antioxidants that it is considered to be three times more potent than red wine and green tea! If you’re easily stressed, or have high blood pressure, then pomegranate juice would be a great way to start your day. A scientific study found that people suffering from hypertension had lowered blood pressure after consuming 150ml of pomegranate juice, daily, over the course of 2 weeks. Other studies conducted thereafter, confirmed these findings and found very similar effects, specifically regarding the systolic blood pressure. Pomegranate possesses anti-viral, anti-bacterial and anti-fungal properties. Wow! This makes it incredibly useful for fighting against yeast overgrowth issues within our bodies such as gut candida. Couple the anti-microbial properties with the anti-inflammatory effects and you’ve got the perfect remedy for gum disease. Not only does it have antiseptic properties itself, but it’s abundance of immune-boosting minerals and vitamins strengthen our bodies own immune system which then attacks the problem and helps speed up the healing process. The phytochemical compounds found in pomegranate have been proven to stimulate serotonin and oestrogen receptors which improve symptoms of depression. 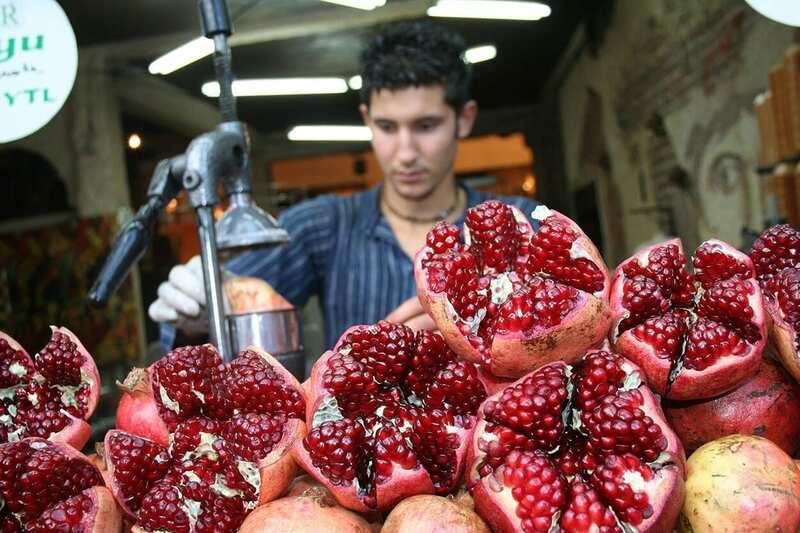 The National Health Service in the UK published an article on the effects of pomegranates, and had this to say regarding it’s cancer-fighting properties: One small study from 2006 found that drinking a daily 227ml (8oz) glass of pomegranate juice significantly slowed the progress of prostate cancer in men with recurring prostate cancer. This was a well-conducted study, but more are needed to support these findings. A more recent study from 2013 looked at whether giving men pomegranate extract tablets prior to surgery to remove cancerous tissue from the prostate would reduce the amount of tissue that needed to be removed. The results were not statistically significant, meaning they could have been down to chance. 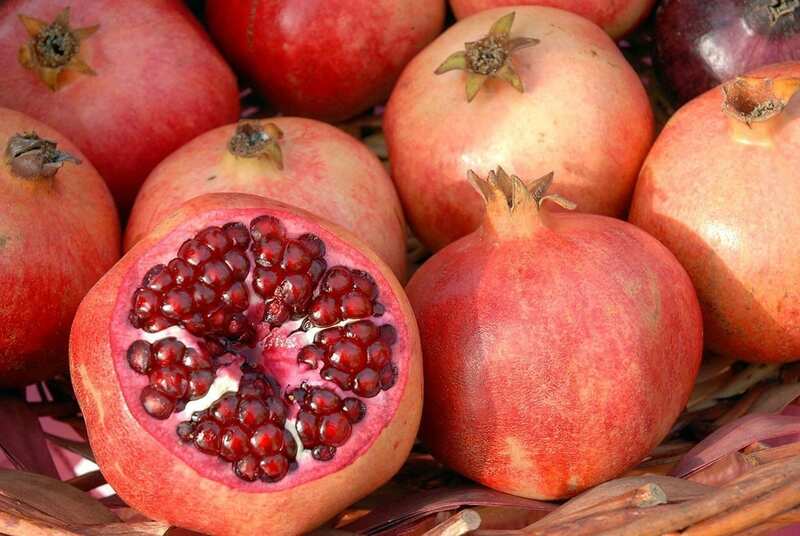 Even though pomegranates have been used for their medicinal purposes for thousands of years, it’s only been recently that science has been able to prove it’s properties. There are more studies currently being conducted in which tests and experiments are trying to prove the other benefits. These include: An increase in bone density, erectile dysfunction, exercise performance and memory among others. At The School of Natural Health Sciences we are passionate about nutrition, and offer an array of accredited online courses. From Clinical Nutrition to Child & Adolescent Nutrition to Sports Nutrition. Our diploma-correspondence courses make it able for you to acquire an internationally recognised qualification to enhance your career, bulk up your CV and expand your horizons. Our distance-training method allows you, the student, to study on your own schedule with no pressure, inconveniences or commuting. We even have tutors available to guide you through the learning process. For any enquiries you may have, don’t hesitate to contact us here. We’d be delighted to hear from you!